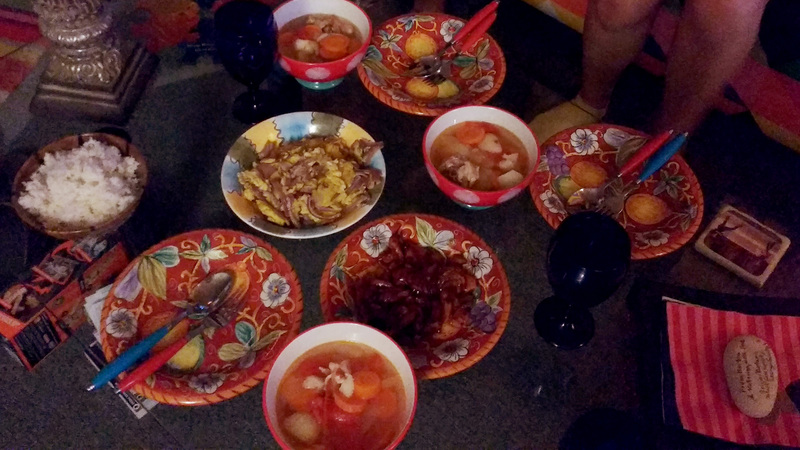 Home Recipes ABC Soup from Malaysia! Joey & Ada went on a cooking spree their last day here. 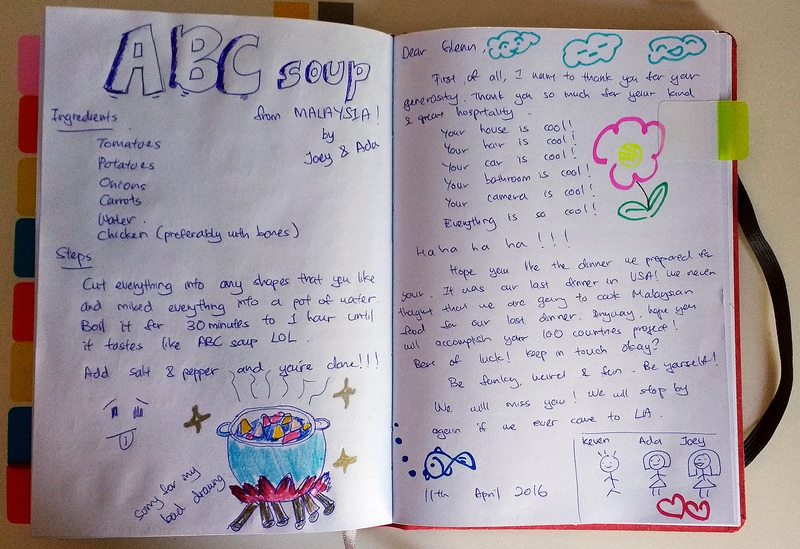 They made a bunch of tasty things, and left us their recipe for ABC Soup! Hope you like the dinner we prepared for you. It was our last dinner in USA! 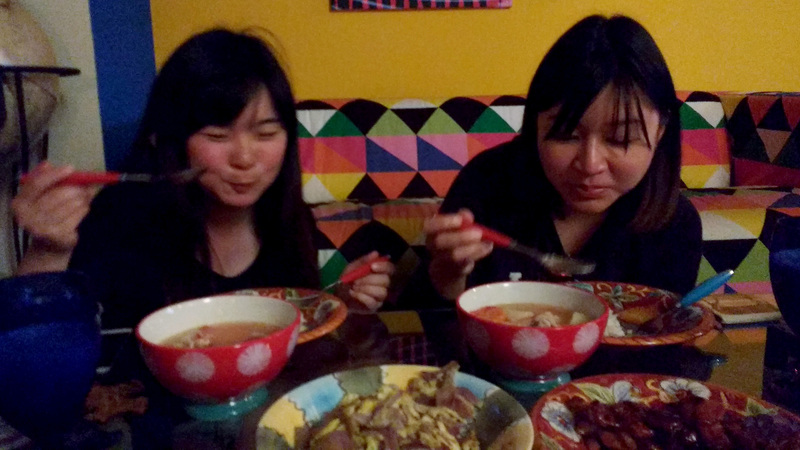 We never thought that we are going to cook Malaysian food for our last dinner. “ABC” because it contains vitamins A, B & C! Cut everything into any shapes that you like and mix everything into a pot of water. Boil it for 30 minutes to 1 hour until it tastes like ABC Soup LOL. Add salt & pepper and you’re done!!! ABC Soup and other delights!